Whether the problem is small or large, plumbing issues should always be addressed immediately. The smallest issue, like a dripping faucet, could turn into a much larger one and cost you a substantial amount of money later. As a homeowner, it’s always best to be proactive when it comes to plumbing repair in Rochester, NY to prevent further damage and additional expense. At GT Campbell Plumbing, we are proud to offer comprehensive plumbing repair in Rochester NY and the surrounding areas. 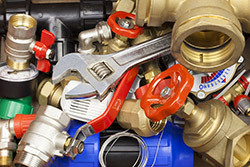 When you need a reliable plumber for minor and major repair, we are simply the best choice. You might not give it a lot of thought, but your home’s plumbing system is one of its most vital systems. When it isn’t functioning properly, you may not be able to access clean water for drinking, bathing and cleaning, or wastewater may not be able to adequately flow away from your home. We can handle any plumbing repair project, and we make sure that all of our licensed plumbers are equipped with the proper tools and knowledge to get the job done right the first time, every time. Whether you’re dealing with a minor concern or a full-on plumbing disaster, let the experts at GT Campbell Plumbing help. With more than a decade of experience, honest upfront pricing and technicians who are committed to showing you and your home the utmost respect, we are the best choice for any plumbing repair job in Rochester NY. For reliable and affordable plumber in Rochester NY , give us a call.